Manchester United striker Radamel Falcao believes he needs games in order to hit top form, reports The National. Falcao established himself as one of Europe’s most clinical strikers during spells with Porto, Atletico Madrid, and Monaco, but he has been largely disappointing since joining United on a year-long loan last summer. The 29-year-old has only scored four league goals so far this season, though he has also registered four assists for his teammates. He has had little playing time for Louis van Gaal’s side in recent weeks and he has only started in one of United’s last five league games. Robin van Persie has been injured since last month’s loss to Swansea, but Wayne Rooney has been used as a lone striker, with Falcao often having to watch on from the bench. He scored three goals in two friendlies for Colombia during the international break, and he equalled Arnoldo Iguaran’s all-time goalscoring record by scoring his 24th goal for Colombia from the penalty spot against Kuwait. Speaking after that game, Falcao revealed that he hoped to take the confidence from scoring into games for United. United are currently fourth in the league, and they are on course to secure qualification for next season’s Champions League, having opened up a five-point lead over fifth-placed Liverpool with their 2-1 win at Anfield in their last game. 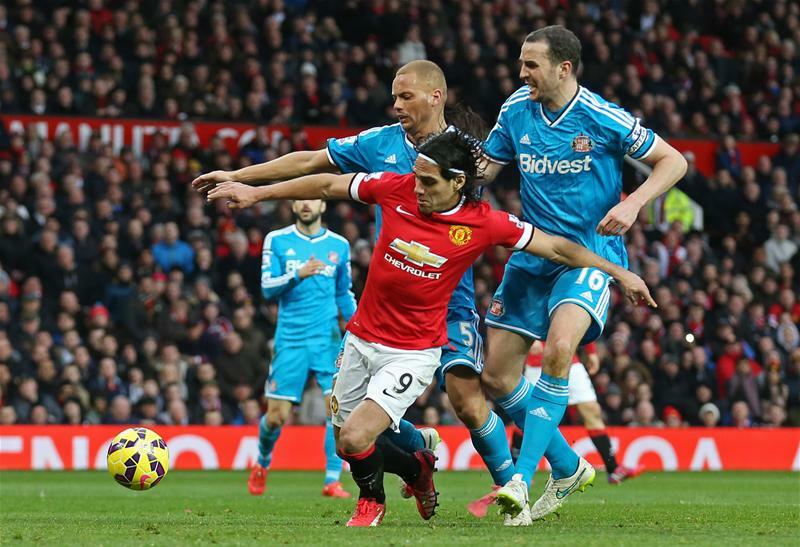 Falcao has averaged 60% shot accuracy in the league this season, more than any other United forward.